Nowadays , dogs proved to be very useful. Blackie seen patrolling with 4 policemen & 1 Lady at Boon Lay Bus Interchange today! 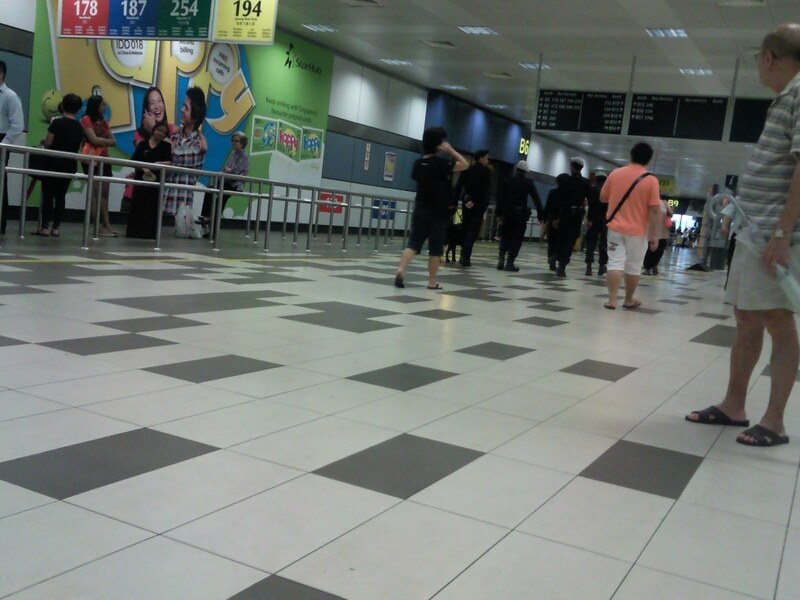 Security is tighten, less worries over criminal activities in Jurong finally. Blackie Dog @ Boon Lay Bus Interchange!